Tuffy says: Ashley A Hancock is SOLD. 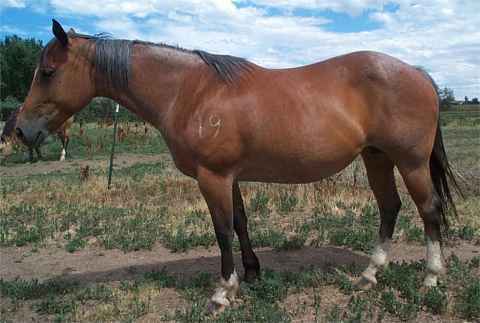 This wonderful mare is a consistent producer of good roan foals. Her offspring are some of the first foals purchased from the farm due to their excellent conformation, bloodlines, disposition and color. HANCOCK HANCOCK HANCOCK! Check out her pedigree!!!! If your interested in her, give me a call and lets talk. She is a great mare.... IN FOAL TO AZULS GOT CHROME FOR A 2013 FOAL. DUE IN APRIL!! !